Whatever you pay for blank paper, we'll match the cost! anything more than what you already pay for blank receipts. All for the same price you pay for blank paper! Don’t neglect the potential of your ATMs. 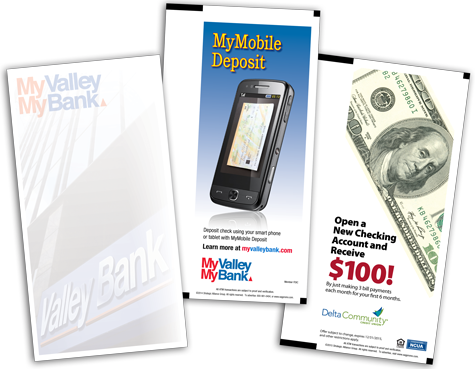 Be sure that ATM users know about your products and services with custom, full-color ads pre-printed on the receipt. It costs nothing more than what you already pay for blank rolls and we can handle the shipping and distribution for your entire network. It’s a free, ready-made broadcast medium at your disposal. We match what you currently pay for receipts. In some cases, we are able to beat current prices. Plus, our design and preparation of the artwork is free. Just give us your database, we handle the logistics. We handle the shipping and distribution to make sure branches get the right amount of rolls on time. Strengthen your identity with this novel touchpoint. Perfect for communicating with customers who may not otherwise come inside branch locations. 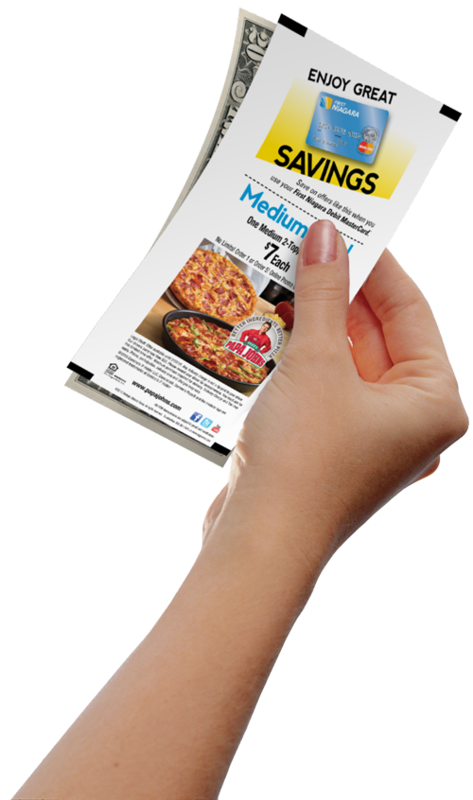 Receipts have special offers on the back for your customers. You can promote these as savings for account holders or debit card incentives. Use our free creative services or submit your own designs. Use multiple messages or focus on one promotion. You have complete control. 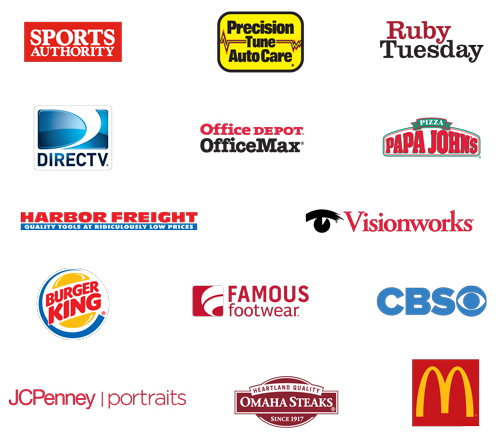 your corporate customers to strengthen relationships. top of every back. Use any configuration that doesn’t interfere with the transaction. Change promotions quarterly or maintain them every quarter for as long as you like. All advertisers and sponsors are submitted for your approval. Our exclusive debit card offers are by far our most popular type of promotion. These increase debit card activity with discounts for customers who use their card. 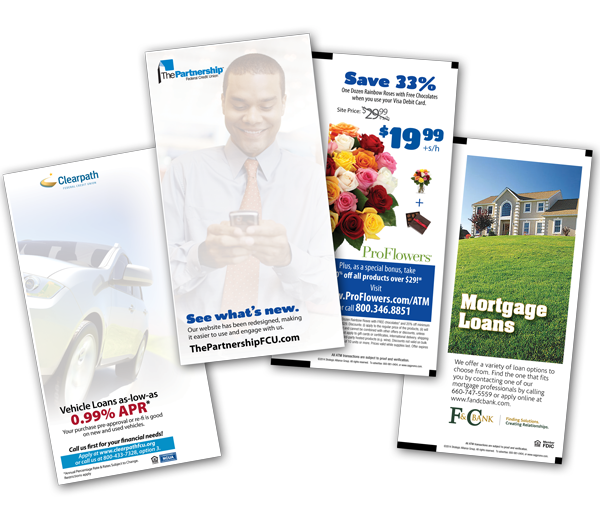 We only print offers from nationally recognized, reputable companies that you approve. You can even use an image of your debit card and tailor the ad to your match your other promotions. Contact Pete Severens with any questions. 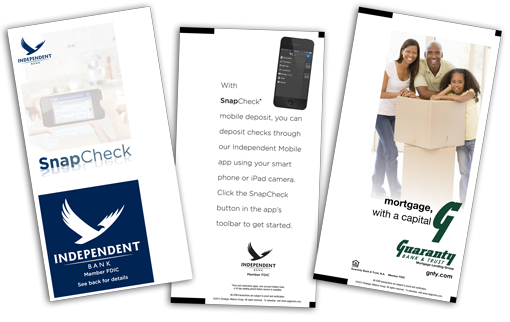 Ask us how our ATM Advertising program can save you money! © Strategic Alliance Group. All rights reserved.